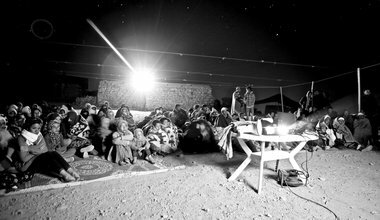 Located in in the small commune of Imider in southeastern Morocco, the Movement on Road ’96 is an environmental and social movement comprised of peasants, workers, shepherds and unemployed youth. The Movement was founded in reaction to the depletion of their aquifers and pollution by Africa's biggest silver mine; as well as for employment and basic social infrastructures in one of the poorest regions in the country. A statement by the producers of Amussu, an upcoming documentary film that tells the story of a community's continued struggle for environmental justice.